The Dieter Family: Happy Birthday Riley! Happy Birthday, a photo by shaunadieter on Flickr. Riley turns 2 years old! 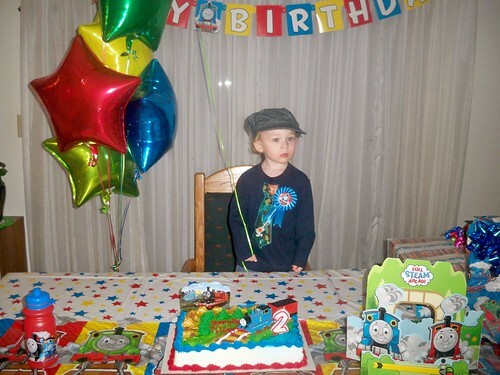 We had a Thomas the train party because Riley loves trains! He did very well and blew out his candle by himself. Riley loves balloons too so we had plenty of them. He is a fun, loving boy and we are super glad to celebrate his birthday with him.